The countless messages of support from kids, faculty and parents speak volumes about Principal David Creech's impact on the community. In my junior year of high school, I was elected as a student representative to the Board of Education and received immense support from the members of the board and the superintendent, and for that I am incredibly grateful. However, I also received immense support from our high school administrators. As an administrator, Principal David Creech led us with integrity, compassion and respect – more respect, I believe, than administrators typically show their students. 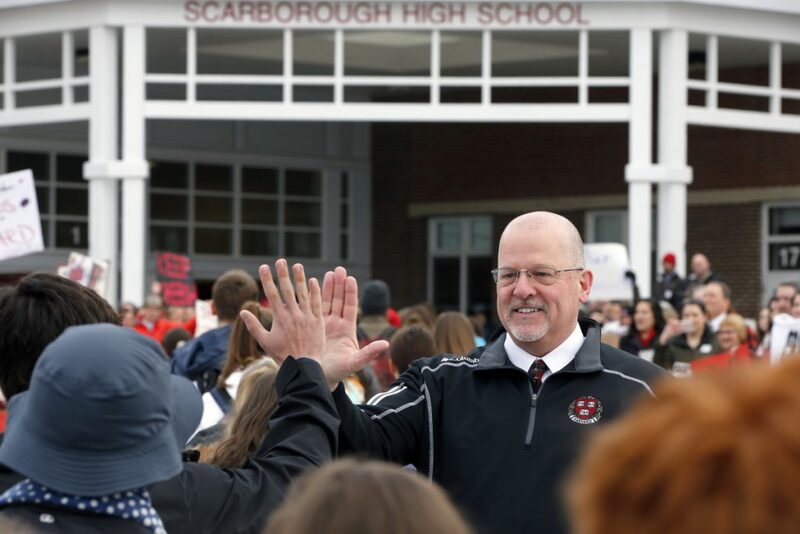 At an age when it is expected that we reject authority, the respect and appreciation felt by the students of Scarborough High School toward Mr. Creech is a testament to his character and passion for his work. Principal Creech put his faith in the students of SHS countless times, and in return the students of Scarborough High School have put their faith in him. In this present situation, I know that countless messages of support from faculty and parents have been given, which speaks volumes about Principal Creech’s impact on the community. However, I truly believe that you need look no further than the students of Scarborough High School for the proof needed to make Principal Creech’s case. Now living 517.5 miles away, I have found it incredibly difficult to watch this situation unfold while not being able to physically show my support. The lessons of leadership, friendship and service I learned from my work with Principal Creech and the Scarborough High School faculty continue to impact the way I lead my life today, despite my having already graduated. Consider the people who have written, spoken and protested in support of Mr. Creech, because they are the community that the Scarborough Board of Education serves. Scarborough High School is better because of Principal Creech, and our community has risen up and will continue to rise up and recognize that.